I love a good subscription box almost as much as I love tea so I was trilled to try out one of The True Tea Club's tea boxes. 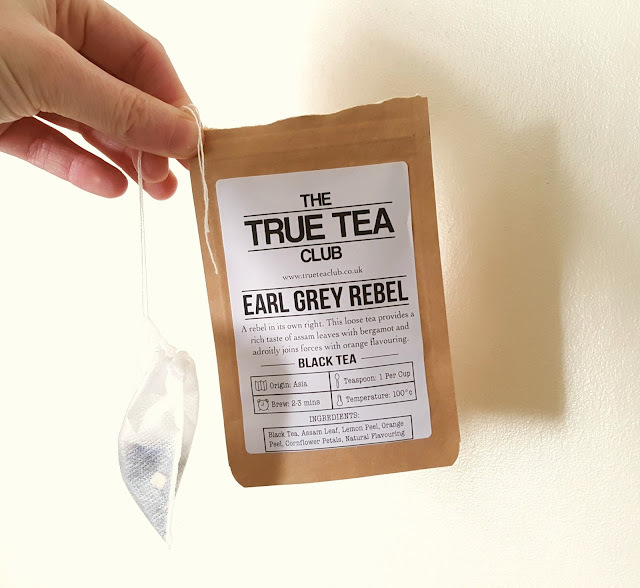 The True Tea Club send out a monthly box containing 4 reusable tea bags and a selection of 4 loose leaf teas which can be tailored to any particular tea preferences. My box contained Rainbow Chaser, Mighty Mango, Vanilla Cupcake and Earl Grey Rebel. There are 3 monthly subscription option; £10 for a standard box (40 cups of tea), £15 for a premium box (60 cups) and £20 for a deluxe box (80 cups!) and right now you can get a massive 50% off your first box using the code 'LOVE'. If you are vegan, each subscription even has a vegan option. Awesome! I wish more companies would offer this. Rainbow Chaser - Made from apple pieces, blackberry leaves, peppermint and orange peel, this is a very fruity, refreshing tea. I added a bit more than recommended as I like fruit teas to be really strong and potent. The tea itself was one of the prettiest I have seen and it completely deserves it's rainbow title. Mighty Mango - This one was a flavoured sencha green tea. This was definitely one of my favourites and the first I used up. I adore mango and I love green tea too so this was a perfect tropical combination. 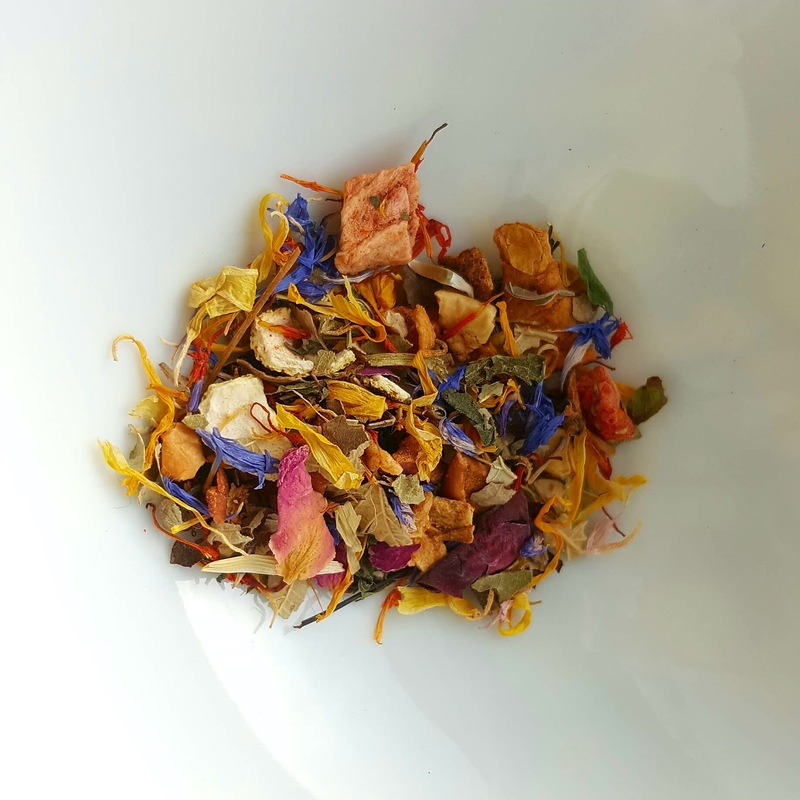 Vanilla Cupcake - A red tea consisting of rooibos, banana chips, papaya strips and rose petals. This was not what I was expecting and I am glad I did not add milk to this. This tasted more fruity than it did cakey. Completely delicious but I wouldn't call it cupcake. It is perfect to drink with your lunch. 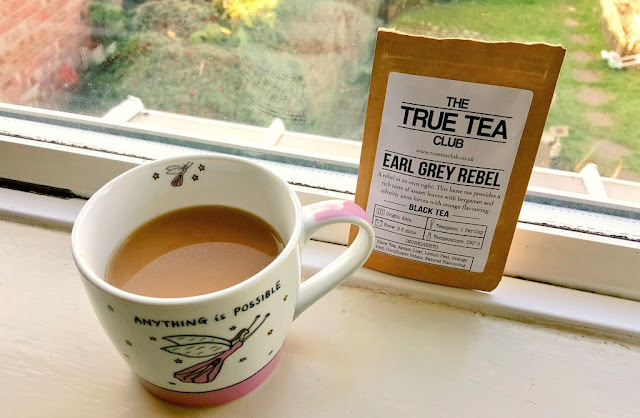 Earl Grey Rebel - I have to be in the mood for earl grey. This one is made using assam tea which is my favourite black tea due to it's malty taste. The lemon and orange peel add a citrus kick which is perfect. The tea pouches were perfect sample size and I was able to get at least 4 cups from each pouch. This is great as I know how easy it can be to fill up your cupboard with teas you barely touch. The useful thing is that The True Tea Club are not just a subscription service but also have an online shop so if you really enjoyed a particular tea you can purchase it. Their shop is very well stocked too. So much so that I had to put on my imaginary blinkers so that I didn't buy half of it! Chocolate cookie tea and berries and cream tea? Yes please. I think it would be really cool if each box had a theme. Personally this would make me more likely to subscribe. February's box could be love themed so maybe it could include a a rose based tea. An Easter box containing chocolate based teas. A Halloween box with a pumpkin spice chai. You get my drift. Overall this is a fantastic box if you are new to the tea world or looking to discover some new favourites. I think I might be taking advantage of their 50% off. Have you ever tried a tea subscription service? What is you favourite kind of tea? *PR supplied product. All thoughts and opinions are completely my own. This would be perfect. Like I said it's great sample size so good to discover what you like! There are so many flavours of tea. I find it hard to understand people who dislike tea when you have have dark rich ones to light cold iced tea. I bet there are loads of US based tea companies. That would be great and I'm glad your global shipping is so reasonable!